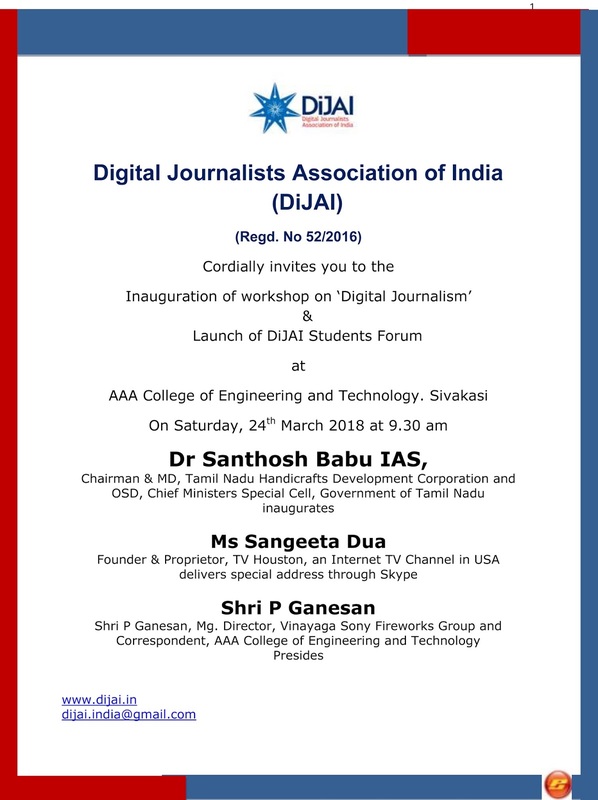 Digital Journalists Association of India (DiJAI) organises a full-day workshop on Digital Journalism at AAA College of Engineering and Technology, Sivakasi on Saturday, 24th march 2018. Around 200 students from different colleges participate. DiJAI also plans to start a Students Forum at Sivakasi covering the local colleges. Details of the schedule is given.